PLEASANT GROVE, Utah - Neighbors of a Utah woman arrested Sunday after police discovered seven dead infants in a home where she used to live say they never suspected anything suspicious; they say they didn't even know she was ever pregnant, reports CBS affiliate KUTV. 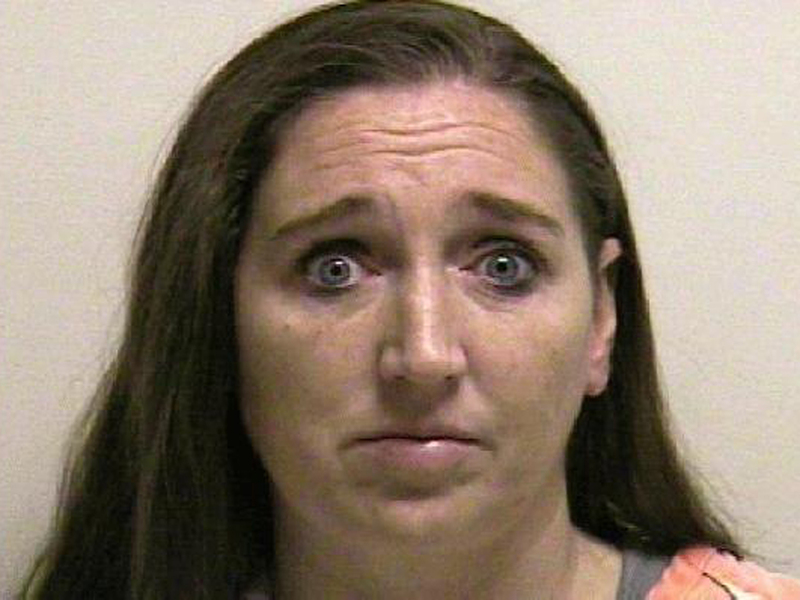 Megan Huntsman, 39, was booked into the Utah County Jail for investigation of six counts of murder Sunday, KUTV reported. Police believe that over a 10-year period, from 1996 to 2006, Huntsman gave birth to the infants and then killed six of them, reports the station. Police believe the seventh was stillborn, according to Pleasant Grove police Capt. Michael Roberts, reports the station. All seven were reportedly found in cardboard boxes. Neighbor Sharon Chipman told the Salt Lake Tribune she noticed Hunstman had gained and lost some weight over the years, but she never considered she could have been pregnant. Another neighbor told KUTV she saw Huntsman wearing baggy clothes, but also never thought she was pregnant. "I've had a few shocks in my life, but this one was a huge one," Aaron Hawker, Kathie Hawker's husband, told the station. The Hawkers said they trusted Megan Hunstman, and often had her babysit their grandchildren. Chipman agreed, telling KUTV her grandson was practically part of the Huntsman family, even going with them on family vacations to Disneyland. She said she never had a reason to suspect anything suspicious, reports the station. "She took good care of him. She was good. This really shocks me," she told the Salt Lake Tribune. Aaron Hawker told the station he saw Huntsman's ex-husband on Saturday, cleaning out the garage. He said the man had recently returned after serving time in prison, and was eager to start a new life. He was preparing to move back into the house this summer, Chipman told the Salt Lake Tribune. "He seemed very upbeat. He was there cleaning out the garage and was taking a lot of it to the junkyard," Hawker told the station. The ex-husband alerted police after finding the body of an infant inside the Pleasant Grove home where the Huntsmans had lived until 2011, The Salt Lake Tribune reported. Pleasant Grove is located about 35 miles south of Salt Lake City. The home is a rambler which is split into upstairs and downstairs apartments, reports the paper. The ex-husband and some family members had been cleaning out the garage when "they came across a suspicious package that had kind of a pungent odor," Roberts told KUTV. "They began to open up the package and they found a deceased infant inside the package and called us to respond." Police went to the home and found the body of a newborn who appeared to have been full-term. Executing a search warrant, they then discovered the bodies of the six additional infants, KUTV reported. Megan Huntsman's ex-husband is believed to be the father but investigators are still working on DNA tests, Capt. Roberts said. Police are not pursuing charges against the ex-husband at this point, Roberts said. The man told police he had no knowledge of the pregnancies, reports the station. "It's something that you don't expect to see. It's hard to comprehend how this could happen," Roberts told the station. Chipman told the newspaper Huntman's three daughters still live in the house. She said the two eldest daughters are around 18 to 20 years old, while the youngest is about 13. Chipman told the paper she hasn't seen the daughters since the news broke.